Abtech are market leaders in the design and manufacture of high voltage, hazardous area (ATEX), stainless steel electrical enclosures and junction boxes for 3.3kV, 6.6kV, 11kV and 33kV. 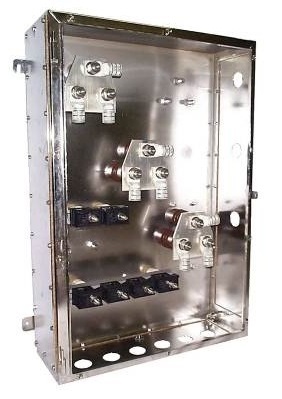 Abtech are at the forefront in the manufacture of stainless steel enclosures for cable jointing, terminating and connecting high voltage cables in hazardous areas, Zones 1 and Zones 2. The Abtech high voltage electrical enclosure range has been developed and expanded to the five major ranges shown in this section. Abtech DPJB - original "down hole pump" cable connection box. 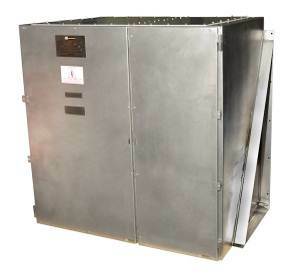 Abtech HVJB - high voltage electrical enclosure (ATEX) up to 11kV. Abtech LR - high voltage electrical enclosure (ATEX) up to 3.3kV. 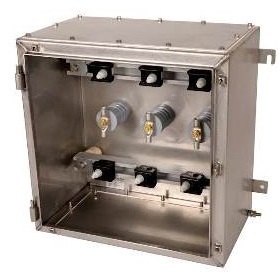 Abtech MJB - high voltage electrical enclosure (ATEX) up to 6.6kV. 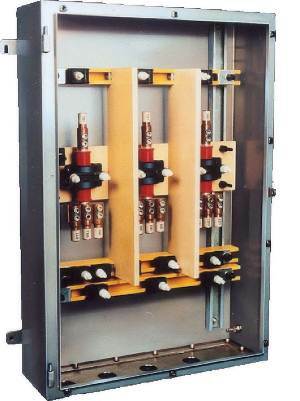 Abtech Busbar Box - busbar enclosure for terminating 11kV cables. The entire ABTECH electrical enclosure and junction box range offers flexibility in terms of high voltage cable connection, cable termination and cable jointing in hazardous areas. 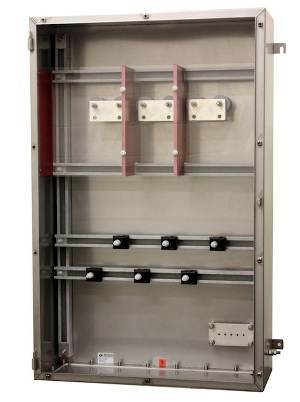 NEW variations are continually being added to the high voltage enclosure range. Whatever your requirement may be for high voltage cable connection boxes in hazardous areas, call T&D UK for a solution. ATEX is the name given to a set of European Directives relating to Hazardous Area Electrical Equipment Installations (Flammable Atmospheres) to avoid industrial accident or incident. ATEX Directive 94/9/EC (ATEX 95), is a directive adopted by the EU under the “New Approach” strategy. The “New Approach” ATEX directive supersedes the “Old Approach” ATEX Directive, the Potentially Explosive Atmospheres Directive, 76/117/EEC – ATEX 94/9/EC (ATEX 95) facilitates free trade in the EC for hazardous area electrical equipment intended to be used in potentially explosive atmospheres. ATEX Directive 94/9/EC (ATEX 95) covers “Electrical Equipment” used in hazardous areas with potentially explosive atmospheres created by presence of gases, vapours, mists or dusts. T&D UK stock and distribute an extensive range of ATEX Certified Low Voltage and High Voltage Electrical Equipment for Hazardous Areas including cable glands, electrical enclosures, junction boxes, plugs and sockets, cable joints, control stations, cable transits, cable cleats, mobile phones, laptops, digital cameras, conduit systems, portable lighting (torches, handlamps, headlamps).